I can’t believe it’s been almost a month since my last blog post! I have a bit of catching up to do!! This week’s big news is that we have bought a car. We were quite enjoying not driving, and were considering just using taxis and not having to worry about traffic, parking or learning our way around. We have a driver we can book any time (the drivers are on call 24/7) so getting places was never an issue. Taxis are cheap and have one huge advantage – when they arrive to pick you up, the engine has been running and therefore the air conditioning is on and the car is nice and cool! Over the last few weeks we started to be convinced we needed a car. Just for the freedom to go where we wanted, when we wanted, to stop on the way home & do some shopping, or just to go for a drive and explore our new city. I happened to mention it to a friend at church, and she had heard that morning from a friend of hers who was selling his car, as he was leaving Doha. The writing was on the wall. The next day we had our new baby. Driving in Doha is not for the faint hearted. Apart from the extra challenge of getting used to driving on the wrong side of the road, the traffic is heavy and fast. There are apparently road rules and speed cameras, but you wouldn’t know it. There is construction everywhere, rendering the GPS only moderately useful, and the scariest of all are the multi-lane roundabouts, which look more like a dodgem cars than anything else. Many of the roundabouts are being replaced by traffic lights, thank goodness, but of course in the meanwhile that just means more congestion and confusion! I only say all that so you will appreciate how incredibly brave and skilled I am in actually driving here! Not really, but there is a sense of relief every time we get from A to B without incident! We are enjoying the freedom and flexibility of having our own wheels, and planning all sorts of excursions to see more of Doha and even venture out of town in the coming weeks and months. 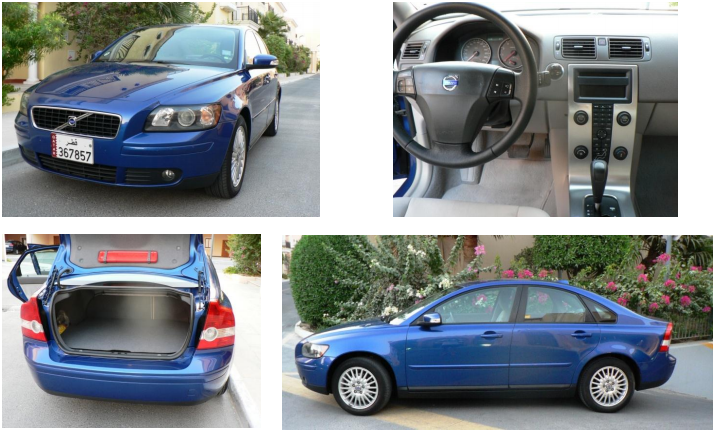 Posted in DohaTagged Doha, Driving, Ex-pat, Qatar, VolvoBookmark the permalink. You are very brave (and extremely clever) and continue to be in our thoughts and prayers for continued safe and happy adventures. I can so relate Shelley. I remember getting our car when we lived in Brazil. It was an adventure whenever we went out!